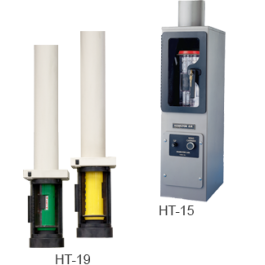 The Hamilton HT-19 Point to Point Overhead Delivery System is easy to operate, affordable, and easy to install. The Hamilton HT-19 Point to Point Overhead Delivery System is easy to operate, affordable, and easy to install. The air turbine is remotely mounted, for whisper quiet operation. Ideal for handling currency, pharmaceuticals, office supplies, production parts, and other small supplies. 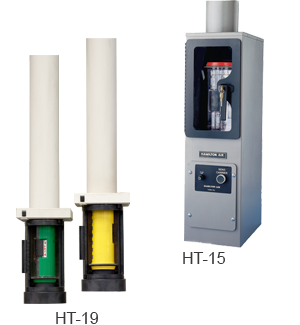 Fast and efficient, Hamilton Air Point-to-Point air tube transport systems increase efficiency in many different work environments including banks, drive up or drive through pharmacy applications, warehouses, retail and manufacturing facilities. Pneumatic tube diameters are available in 4.5” and 6” tube sizes. Carriers can accommodate substantial loads with a range of up to ½ mile and all units run on standard 115 VAC circuits. Ask our experienced team to help you configure an air tube system today!